A Sailor’s Dream with 8 deep water boat slips available and quick access to the intercoastal waterway or the Gulf of Mexico.Once you’ve arrived for your vacation in paradise, the Black Pearl Resort offers lots of ways to make it a memorable one. Perhaps you’ll want to start your day lounging by the pool. We know you’ll love our newly refurbished swimming pool. 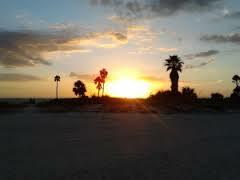 Read a book, listen to music, or just daydream while sitting on the waterfront — Treasure Island Beach on the Gulf of Mexico is just 300 feet away from your door! 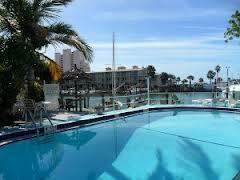 If the open water is more your style, the pool is just feet away from our dock on the Intracoastal Waterway. 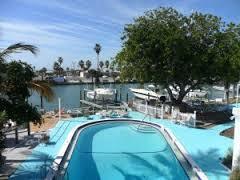 Bring your boat as we have 8 boat slips available for daily, weekly, or monthly rental. 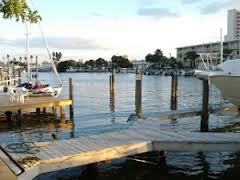 You can fish right from the docks for snook, redfish, trout and more. If boating or fishing aren’t for you, then relax and watch the dolphins and manatees on their daily visits to the docks. Enjoy a game of shuffleboard with the other guests, or have a cookout at our poolside barbecue grill. Of course, if you’d prefer to let someone else cook, there are many fine eateries located within walking distance.